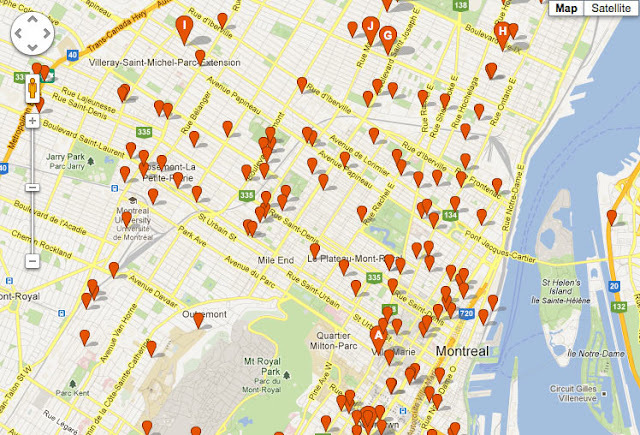 Just to give you an idea how extensive the condo boom is going on in Montréal. Most of these are new projects (condos, lofts, townhouses, etc) with just a few that are a few years old. Scarily enough I was surprised by how many of them I've already covered here at VM. But there's more, MUCH MORE, to cover. And this screenshot doesn't include Saint-Henri, Lasalle, Verdun, PSC, etc. Calling it a boom is an understatement. This condo projects sounds interesting. Any updates of this please? Thank you.